Ravi K. Chandran, ISC is an Indian cinematographer, and director known for his works in Tamil cinema, Malayalam cinema and Bollywood. He is the founding member of the Indian Society of Cinematographers (ISC). His most recognized works are Minsaara Kanavu (1997), , Kandukondain Kandukondain (2000), Citizen (2001), Kannathil Muthamittal (2002), Boys (2003), Aayitha Ezhuthu (2004) in Tamil cinema,  Ekalavyan (1993), The King (1995), Mafia (1993), Punaradhivasam (1999) and Kannezhuthi Pottum Thottu (1999) in Malayalam cinema. 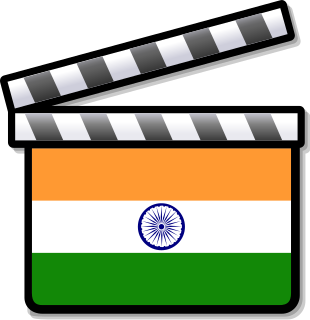 Indian Society of Cinematographers abbreviated as ISC or I.S.C are supported by several national industry societies and awards. 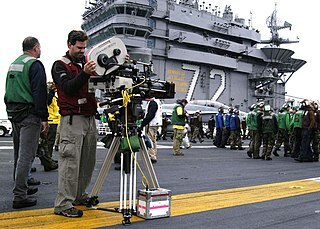 The society was organized with a purpose to not only progress and advance the science and art of cinematography, but also gather a wide range of cinematographers together to collaboratively discuss and exchange techniques and ideas and to advocate for motion pictures as a type of art form. The organisation was founded by Ramachandra Babu in 1995. His best known works in Bollywood are Virasat (1997), Dil Chahta Hai (2001), Yuva (2004), Paheli (2004), Black (2005), Fanaa (2006), and Saawariya (2007). Ravi has won two Filmfare Awards and one Southern Filmfare Award. Virasat is a 1997 Indian Hindi film, directed by Priyadarshan. The story was adapted from the Tamil film Thevar Magan. Mushir-Riaz duo produced the film. It starred Anil Kapoor, Tabu, Amrish Puri, Pooja Batra, Milind Gunaji and Govind Namdeo. The music was composed by Anu Malik and S. P. Venkatesh, with the former composing the songs and the latter composing the score. The film marked the comeback for Priyadarshan in Hindi cinema. Music director Annu Malik reused some of the original tunes of Ilaiyaraaja from Thevar Magan. Dil Chahta Hai is a 2001 Indian comedy-drama film starring Aamir Khan, Akshaye Khanna, Saif Ali Khan, Preity Zinta, Sonali Kulkarni and Dimple Kapadia. The first film written and directed by Farhan Akhtar, it is set in modern-day urban Mumbai and Sydney, and focuses on a major period of transition in the lives of three young friends. Ravi K. Chandran was born in the village Maduranthakam, Tamil Nadu as the youngest child. Following graduating from the A. M. Jain College in 1982, Ravi K. Chandran started his career in the film industry. In addition to this, he works as the Director of Photography of many music videos and ad films. He began his career by assisting his brother, K. Ramachandra Babu and later turned into an independent cinematographer in 1992 by filming Kilukkampetti , a Malayalam film directed by Shaji Kailas. Later he donned camera for a more Shaji Kailas directorials including Thalasthanam , Sthalathe Pradhana Payyans , Ekalavyan , Mafia and The King . His entry into Tamil cinema was in 1994 through Honest Raj starring Vijayakanth. Madurantakam(Tamil: மதுராந்தகம்) is a town and a municipality in Kancheepuram district in the Indian state of Tamil Nadu. The town is known for the artificial and second largest lake in Tamil Nadu, the Maduranthakam lake. It is believed to be built by the Chola King Uthama Chozha, also called as Maduranthakar, during his reign. It is also home to the Aeri Katha Ramar Temple. As of 2011, the town had a population of 30,796. A.M. Jain College is an arts college in Meenambakkam near in Chennai, Tamil Nadu, India. It was opened in 1952, by the Shri S S Jain Educational Society. It provides courses in the arts, sciences and information technology along with visual communication courses. The college's campus is located opposite the Meenambakkam Railway Station. The college is managed by the Jain Community Associations and is affiliated with Madras University. 2018 Bharat Ane Nenu Telugu Debut in Telugu cinema. The Filmfare Best Cinematographer Award is given by the Filmfare magazine as part of its annual Filmfare Awards for South Indian films. Kannathil Muthamittal is a 2002 Indian Tamil-language musical war drama film produced and directed by Mani Ratnam. It was based on a short story called 'Amuthavum Avanum' authored by writer Sujatha. It features Madhavan, Simran and P. S. Keerthana in the leading roles with Nandita Das, J. D. Chakravarthy, Prakash Raj and Pasupathy portraying other pivotal characters. The film's score and soundtrack were composed by A. R. Rahman, while Ravi K. Chandran handled the cinematography. Mani Ratnam presents the story of a child of Sri Lankan Tamil parentage adopted by Indian parents, whose desire is to meet her biological mother in the midst of the Sri Lankan Civil War. The film was a box-office success and was received positively by critics at its release. Later on, the film was dubbed in to Telugu as Amrutha and in Malayalam by the same title. Suresh Gopi is an Indian film actor, politician, playback singer and television presenter. He works predominantly in Malayalam cinema and has also appeared in few Tamil, Telugu, Kannada and Bollywood films. Suresh has acted in more than 200 films and is a recipient of a National Film Award and Kerala State Film Award. He currently serves as a Member of Parliament in Rajya Sabha. Suresh is also a philanthropist, social worker, and advocates for environmental protection. Santosh Sivan ASC, ISC is an Indian cinematographer, film director, producer and actor known for his works in English Cinema, Malayalam cinema, Tamil cinema, Telugu cinema, Hindi cinema. Santosh graduated from the Film and Television Institute of India (FTII) and has to date completed 45 feature films and 41 documentaries. He is a founding member of the Indian Society of Cinematographers (ISC) and is the most awarded Director of Photography (DOP) in India. Santosh became the first Cinematographer in the Asia-Pacific region to join the American Society of Cinematographers (ASC) membership. As a cinematographer, he has won five National Film Awards – including four for Best Feature Film Cinematography. As of 2014, he has received eleven National Film Awards, and twenty one international awards for his works.He was awarded the Padma Shri for his contributions to Indian cinema in 2014. Aloysius Vincent was an Indian cinematographer and director of Malayalam, Tamil, Telugu and Hindi films. From the mid-1960s on, he directed some 30 movies including the landmark Malayalam films Bhargavi Nilayam, and Murappennu. He also won the Filmfare Best Cinematographer Award for Prem Nagar (1974) starring Rajesh Khanna. His penultimate Malayalam movie were the 1985 3D film Pournami Ravil and Kochu Themmadi (1986). He is also known for directing Tamil films like Engalkku Kalam Varum, Thulabharam, Iru Veedugal and Jayalalitha's 100th film Thirumangalyam. In 2003, the Indian Society of Cinematographers (ISC) awarded him an Honorary Membership, along with K. K. Mahajan and V. K. Murthy. He received the J. C. Daniel Award in 1996. Sabu Cyril is an Indian film Production Designer. He has won National Film Award for Best Production Design four times, Filmfare Award for Best Art Direction five times and he was nominated at 42nd Saturn Awards. His work in Enthiran won him international recognition. Over the years, he has emerged to be the most expensive and celebrated art director in the country. S. Ravi Varman, ISC is an Indian cinematographer, filmmaker, producer and writer. He has predominantly worked in films of Indian languages such as Tamil, Malayalam and Hindi. Known for his realistic and poetic framing sense, Ravi Varman began his career in Malayalam films. He has directed a romantic film in Tamil titled Moscowin Kavery and also filmed the music video for the song "Bird Flu" by British Tamil songwriter M.I.A..
Chinmayi Sripaada is an Indian playback singer, working mainly for the South Indian film industry. She is also a voice actor, television presenter and radio jockey. She is the founder and CEO of a translation services company called Blue Elephant. She is often credited as Chinmayee/Indai Hazaa but her birth name is Chinmayi. She rose to fame for her critically acclaimed song "Oru Deivam Thantha Poovae" from the National Award winning movie Kannathil Muthamittal. V. Manikandan is a leading cinematographer hailing from Coimbatore, Tamil Nadu. He has worked as the cinematographer for a number of major box office hits in Hindi, Tamil and Malayalam. He is an acclaimed ad film cinematographer with more than 3000 ad films to his credit. He won the Best Cinematographer award [filmfare award] for the movie Anniyan. His debut movie was Atharmam (Tamil) in 1994. He has been congratulated by the industry's most acclaimed directors like Mani Ratnam and S. Shankar. In a function Mani Ratnam said "Yes - he is one of the good cinematographers in India". V. Manikandan was nominated for Asia Pacific Cine Awards(ASPA) for his work in Raavanan/Raavan in 2010 for Best Cinematography. He has won Apsara award for best cinematography for Raavan in 2011. He is the younger brother of Artist V. Jeevananthan, A National Awardee for his Book On Cinema 'Thiraicheelai' in the National film Awards 2010. Renji Panicker is an Indian journalist, scriptwriter, producer, actor and director best known for his Malayalam films. He made his debut as a director with Bharatchandran IPS in 2005. Ekalavyan is a 1993 Malayalam-language crime thriller film starring Suresh Gopi in the lead role along with Geetha, Narendra Prasad, Siddique, Vijayaraghavan, Ganesh Kumar, Janardanan, Madhu, Maathu, Jagathy Sreekumar, Pappu, and Devan in other pivotal roles. Directed by Shaji Kailas and written by Renji Panicker, this film broke many records in collection and successfully completed 150 days in theaters. With the success of this film Suresh Gopi established himself as a superstar in Malayalam cinema. Bollywood movie Singham Returns (2014) is an inspired remake of this movie. Madhu Ambat,ISC is an Indian cinematographer. With a wide variety of films he is one of the most experienced cinematographers in the Indian cinema industry. He is quite well known for his work in films such as Amaram, Anjali, and Makaramanju. He currently resides in Chennai, Tamil Nadu. He has won the National Film Award for Best Cinematography thrice. S. Kumar ISC is an Indian cinematographer, who works in Malayalam, Tamil, Thelugu,and Hindi film industry. His first independent work was with the film, Thiranottam in 1978. He has frequently collaborated with leading Indian filmmakers Priyadarshan, Sibi Malayil, Hariharan, Lal Jose, Bharathan,Padmarajan,Satyan Anthikad,SyamaPrasad and ,Bhadran. Kumar won the National Film Award - Special Mention for Parinayam in 1994. stateAward:kilukkam,AKALE, FilmfareAward;Muskkuahath (Hindi) ScrenAward; Guru(Malayalam) KeralaCriticsAward. He is the founding member of Indian Society of Cinematographers (ISC). ↑ "Ravi K Chandran's Moroccan dreams". indiatimes.com. 2012-10-06. Retrieved 2012-11-26. ↑ "Why ace cinematographer Ravi K Chandran turned director". rediff.com. 2012-09-03. Retrieved 2012-11-26. ↑ "Ravi K. Chandran". www.sify.com. Retrieved 2016-07-26. ↑ Subramanian, Karthik (2011-10-29). "Fame by frame". The Hindu. Chennai, India.